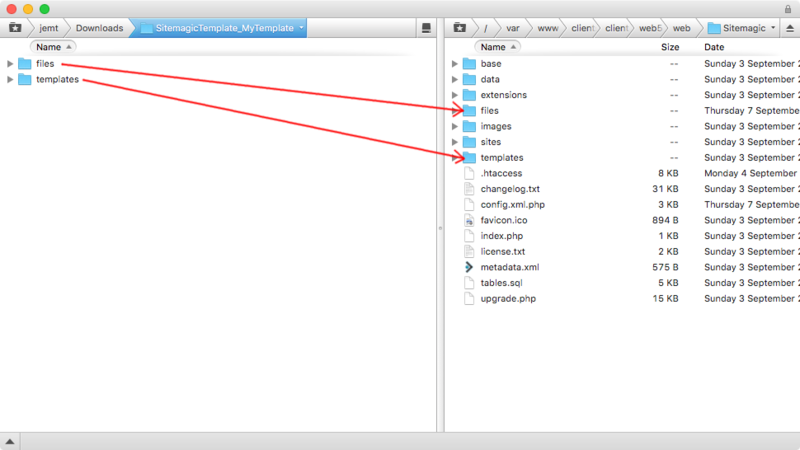 If you obtained a design from someone else, you will need FTP access to Sitemagic CMS to install it. There's a ton of guides on how to use FTP on the web - just search for it. Let's assume the design you obtained was created and downloaded using the Designer. In that case it will be a ZIP file that you need to extract first. The ZIP file will most likely contain two folders called files and templates. All you need to do, is to copy the content of these folders, to the folders of the same name on the server. All there is left is to activate the new design if you want to apply it on the website.